A Carolina Love . . .: See Ya Next Year, Summer! I am not a summer girl. I don't like hot weather unless I'm at the beach, and I don't get off for two months in my profession. So with that said, I'm excited that this weekend unofficially ushered in the beautiful season of autumn. 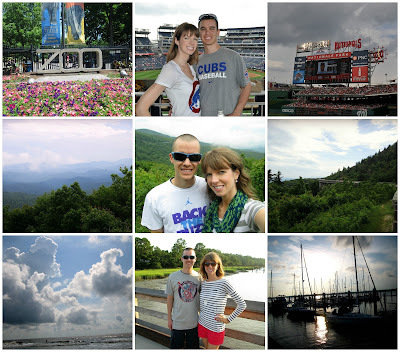 I toyed with the idea of doing a summer recap post, but since our summer was pretty low key by most standards, I just decided on a blanket summer-y post instead. This summer for us wasn't filled with adventure and excitement; it was filled with life and fun memories. I guess part of me could be disappointing with the lack of the aforementioned adventure and excitement, but I've come to terms with the fact that sometimes you just have to be content with the normal. And by most standards, that's what our summer was; normal. This summer was also a time for me to realize I've let go of a lot of things I love; writing, playing guitar, horseback riding, and unfortunately, a few more things. This was not an easy epiphany to come to terms with, but I am hoping having it will help me reclaim the things that make up "me." I also realized that being selfish is okay. I don't mean that in the negative way, but rather in the way of stepping away from "life" for a few moments and doing whatever it is you want to do (e.g. write, playing guitar, etc). This benefits everyone in your world, not just you, which ultimately should ease any guilt that comes along with the being selfish part. Apparently this was just a season of realizing and recognizing for me. Once again, I can't believe it's a new fresh month, but I'm excited for this September. 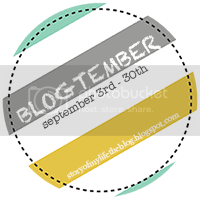 One reason for said excitement is for Jenni's Blogtember! This will pretty much force me not to have writer's block, so praise the Lord for that.